Sukhumvit is famously known as the main downtown commercial and residential district of Bangkok. It is widely recognized for its urban and upscale condominiums, restaurants, bars, nightlife, shopping malls and luxury hotels. The BTS Skytrain ‘Sukhumvit Line’ cuts through all major areas of Asok, Phrom Phong and Thong Lo, all the way from Mo Chit to Samrong. The Sukhumvit areas are well-maintained. The prices of property and land are highly competitive. This area of Bangkok can be compared to London’s West-end, New York City Upper East Side, and Shanghai The Bund. The Sukhumvit road is a central road in Thailand. It was once known as the ‘Krungthep-Samut Prakan Road’, it is the longest road in Thailand. The road was originally built to connect Bangkok with the Cambodian border. 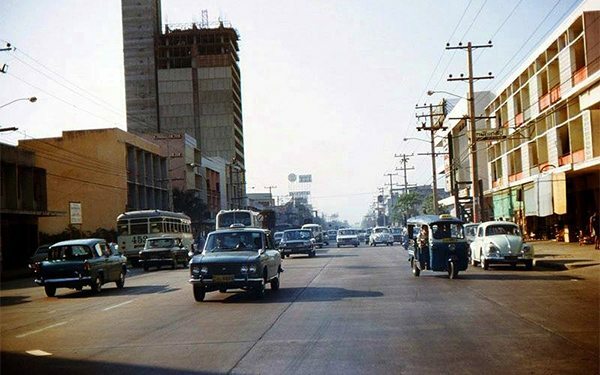 Sukhumvit Road is rich in history and has dramatically evolved through time. The name ‘Sukhumvit’, derived from Phra Bisal Sukhumvit, the fifth chief of the Department of Highways in Thailand. He was a pioneering figure with powerful projects that changed the infrastructures of the city. Asok is one of the most culturally diverse areas of Bangkok, a popular spot for tourists and expatriates. From luxury condominium, hotels, restaurant and bars, you can find traditional charms of Bangkok like local food stalls, bars, shopping streets and massages. The area is connected to the Asok station BTS Skytrain and Sukhumvit MRT station. It is only a station away from Makkasan ARL station which provides direct service to Suvarnabhumi International Airport. 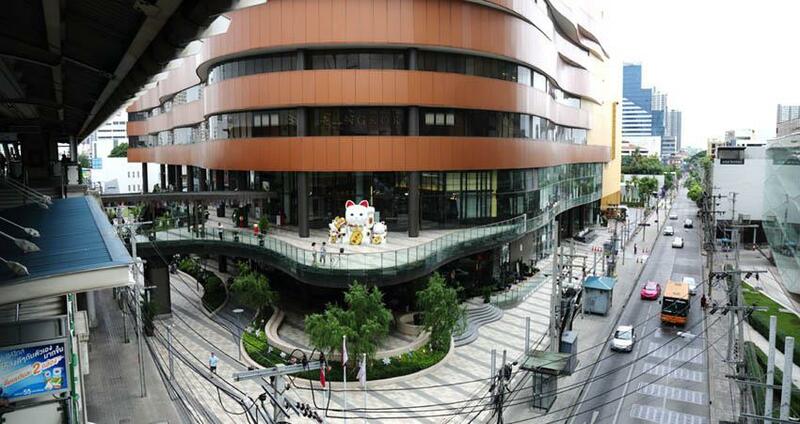 Phrom Phong is considered a high-end and wealthy neighborhood in Bangkok. It is a residential neighborhood with a large demographic of international expats. The area is surrounded by luxurious residential condominiums, villas, and suites. 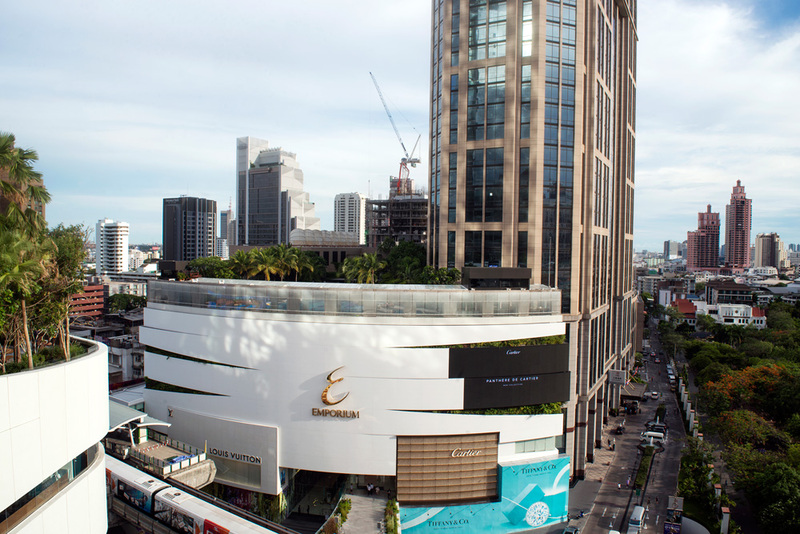 The E.M district shopping mall is located on the main road of Phrom Phong with links to the BTS Skytrain. The area is blessed with fine-dining restaurants and international cuisines such as French, Italian, Indian, Japanese, Lebanese and etc. Soi 33/1 is Expat Corner. Thong Lo or ‘Thonglor’ is believed to be the trendiest part of town. It is a fancy spot for late night hang-outs. It is surrounded by sophisticated condominiums, service-apartments, fashion-stores, premium restaurants and bars. There is a high Japanese population in the area, therefore it is blessed with authentic Japanese eateries and supermarkets. There are also well-known local restaurants that has been around for many decades as well. Properties and Land in Thong Lo are considered very high, it is one of the most expensive areas of Bangkok. Hotels: Somerset Sukhumvit Thonglor Bangkok, The Salil Hotel Thonglor Soi 1, Grande Centre Point, One One Bangkok Hotel. The Ekkamai area is known to be popular among a younger demographic of both Thais and foreigners. 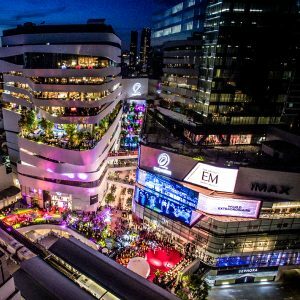 Compared to Thong Lo and Phrom Phong, the area is more laid-back and offers both expensive and affordable eateries, hotels, condominiums, coffee shops and etc. It is close to the upcoming and trending areas of Phra Kanong and Onnut. Siamese Exclusive Sukhumvit S31 is a high-rise condominium project in Bangkok developed by Siamese Asset Co., Ltd, sponsored by Krung Thai Bank Public Company and in collaboration with Angel Real Estate. This project is freehold, it has 21 floors and 193 units in total. With minimized numbers of units, this project offers a more exclusive and private living on Sukhumvit Soi 31, the midtown area of Phrom Phong. The expected date of completion of this condominium is December 2018. The concept and architecture of this exclusive condominium fall under the theme of ‘Living in the Garden’. This greenery paradise is filled with colorful ivy canopies that are planted throughout the project to provide a natural sanctuary for residents. Siamese Exclusive Sukhumvit s.31 offers many special highlights. The bedrooms are designed in a Mofs style, with modern elegance, mezzanine room and 4.8 ceiling height. It also has a private balcony and terraces with planted trees and a private lift to cater to an exclusive modern living.